Home Our Dogs Donations Double During Katie’s Fall Challenge! Donations Double During Katie’s Fall Challenge! 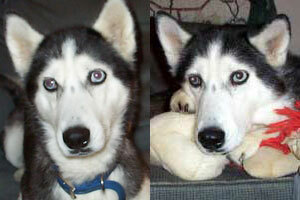 With the end of the tax year approaching, now is the perfect time to make a donation to MaPaw Siberian Husky Rescue! And, if you donate before the first day of Winter (Dec 21st), a special member of the MaPaw family will match your donation, up to $5,000, in memory of a very special sibe, Miss Katie Girl. Katie came into rescue as a senior. She spent almost a year waiting for her special person. She eventually found him and spent many more blissful years being pampered and loved. Her person understood why MaPaw has a special place for seniors and why, while many other rescues prefer to take in younger, more adoptable dogs, we never say “no” based on age. Seniors do cost more to care for, which is why Katie’s Fall Challenge is so important. The money we raise will ensure that the next senior in need WILL find a warm bed and an open heart with MaPaw.